Throughout much of the state there is concern about alfalfa winter-kill. Based on the amount of winter-kill in a field, some producers may decide to terminate the alfalfa stand and plant corn instead. It is important to remember that alfalfa N credits should still be taken for this year’s corn crop. Alfalfa N credits are based on soil texture (medium-/fine-textured or sands/loamy sands), amount of regrowth at the time of stand termination, and number of plants per square foot (Table 1). The method of stand termination (herbicide vs tillage) and time of termination (fall vs spring) do not affect N credits. Where N credits following winter-killed alfalfa may differ from typical stand termination methods is related to decisions surrounding whether or not a first cutting of alfalfa is taken prior to terminating the remainder of the stand. Consider these two scenarios. If the stand last fall was considered good (70-100% alfalfa) and the field was partly killed over winter and the remaining part will be sprayed out this spring, then it should be considered a good stand for purposes of determining N credits. If the stand last fall was considered good (70-100% alfalfa) and the field was partly killed over winter BUT a first cutting is taken before spraying, then the stand counts after first cut will dictate N credits. The same reasoning applies when determining N credits for winter-killed red clover. 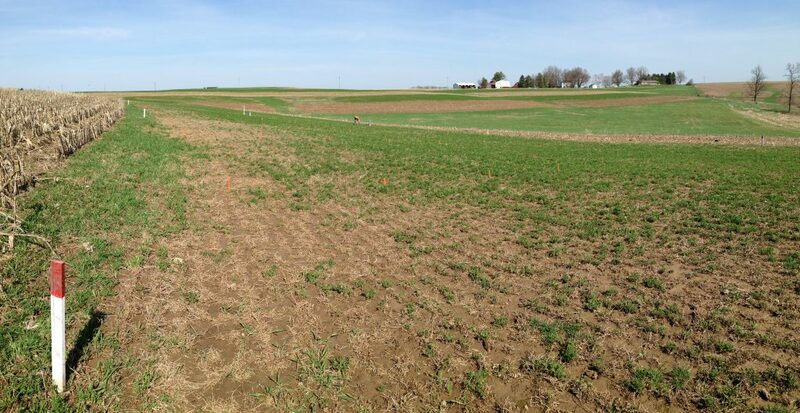 First-year N credits for red clover are 80% of the alfalfa N credit for similar stands. If there is concern about estimating N credits after winter-killed alfalfa then a pre-sidedress nitrate test (PSNT) and be used to confirm the N credits. For more information on using the PSNT see Chapter 5 in UWEX Publication A2809Nutrient application guidelines for field, vegetable, and fruit crops in Wisconsin. Table 1. First-year alfalfa N credits.